This is a 580 sq. ft. cottage on a 10,876 sq. ft. lot located in Hoodsport, Washington. It is listed for sale on Zillow for $115,000. Please enjoy, learn more, and re-share below! Thanks! What a cute little cottage. 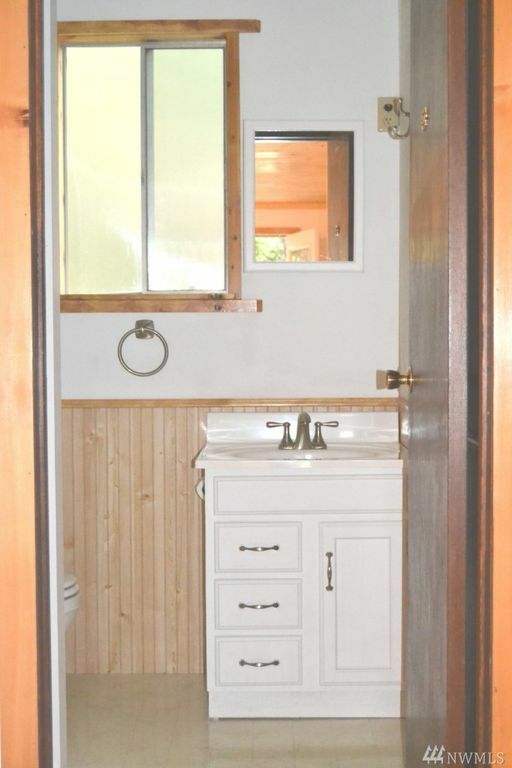 We’d probably enlarge the bathroom and put in a walk-in tub and a stacked washer and dryer, but other than that I think it’s very livable. We currently live in an apartment that is 400 square feet. Patricia, can always use one of the two back buildings/sheds for the washer/dryer room… That way you can have enough space to sort and even store off season clothing.